Uttar Pradesh government has decided to seize around four lakh four-wheelers following a tough stance taken by the National Green Tribunal over pollution. LUCKNOW: The Uttar Pradesh government has decided to seize around four lakh four-wheelers including 2.5 lakh 15-year-old petrol vehicles and 97,043 diesel-run automobiles that are more than 10-years-old, across eight districts of the National Capital Region (NCR). 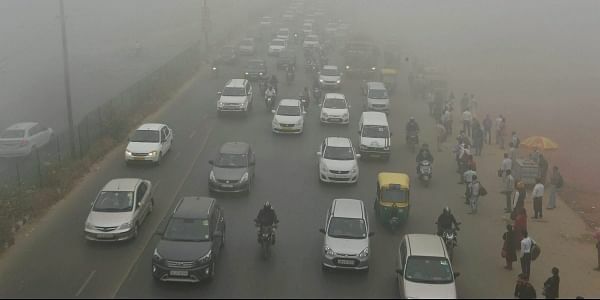 The state government’s decision came on Friday following a tough stance taken by the National Green Tribunal (NGT) over pollution after thick smog covered parts of northern India, especially Delhi-NCR. Besides, the UP Pollution Control Board has also issued directives to over a dozen state government departments to reduce vehicular pollution in the state. However, Friday’s decision came in the wake of the degrading air quality in the national Capital and adjoining UP districts. Notably, last month, the NGT had allowed over 10-year-old diesel vehicles to ply in certain parts of UP for a period of three years. The green panel had allowed such vehicles to be driven in Muzaffarnagar and some of its neighbouring districts like Shamli and Bulandshahr while directing the authorities to phase them out with CNG or any other eco-friendly alternative.